We have developed a separate unit for keeping a large stock. This unit is managed and maintained by our adroit professionals and fulfills the ever-growing needs of the clients. According to your convenience, to pay for an order, our company can settle on a method of payment. We are familiar with online and offline payment methods. We only want to make payment safe and secure for you. 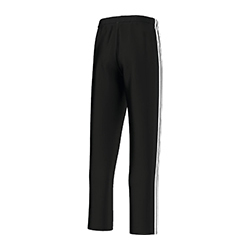 WB-805 Gym Trouser is highly soft and comfortable and is available in different designs and sizes.